Information Technology and novel data analysis is the need of today's majority of industries, businesses, government, and any endeavor. Currently Information Technology helps a lot in various fields and it is going to play a key role in a number of different fields that might not have been yet realized. It was anticipated that after industry revolution, Information Technology is going to bring next revolution. 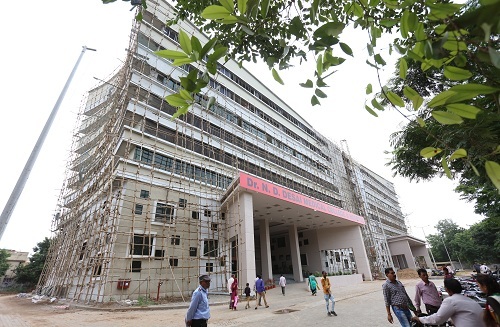 To provide engineers that can contribute in development of nation and the world through Information Technology revolution, the Department of Information Technology was established in the year 1998 with a Bachelor's Degree Course in Information Technology.In year 2011, the department started M.Tech. in Information Technology. 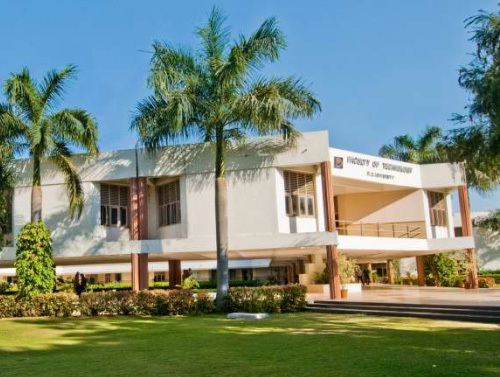 The curriculum is largely comparable to that of IIITs and NITs. It is reviewed every year for any changes due to technology advancements and thrice-a-year for subject addition / deletion, to keep it updated based on the feedback received from the industry / experts from R&D and academic organizations. Regular interactions with industries and R&D institutions are encouraged. Expert from industries are invited to conduct seminars/workshop to update our students for latest technologies used in industry. Research Thrust Areas - Faculties are gaining expertise in the latest technologies and carry out research in various domains which have great impact. Faculty members are invited as expert reviewer in international conferences / journals and also invited to deliver expert lectures at various places. As a social initiative, the Department conducts free of charge seminars, workshops and training program for ITI and school students to educate them for computer literacy. Students are required to go for full-time industry internship in their final semester. This exposure helps the student to be acquainted with the corporate culture and practices adopted by industry for software/hardware development. The M. Tech. (Information Technology) programme started in 2011, offers a number of electives keeping two streams in focus: Machine Intelligence (MI) & Network Computing (NC). 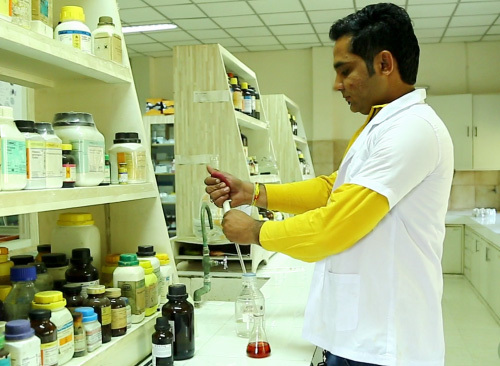 The Department encourages the faculty members to pursue higher studies. Three faculty members have completed their Ph. D. and fifteen faculty members have completed their PG. 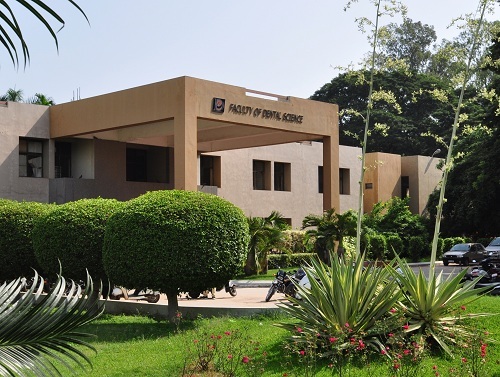 Faculty members carry out quality research work, more than 100 papers have been published in national as well as international journals / conferences. Furthermore, the faculty members who guide M.Tech. students encourage them for research publications. In 2011, the department started CISCO Local Academy Centre to run CCNA Exploration course for CISCO international certification. It helps the student to obtain value added certification for their better career. CCNA exploration course helps the students to get expertise in the field of networking and can receive international certification from CISCO. Many students have been able to get good jobs due to this program. 112 students were benefited by DDU-CISCO Local Academy in last five years. List of recruiters include software giants like TCS, iGATE, Infosys, Cognizant, Zensar, Cybage, Argusoft, Tech Mahindra, eInfochips, Hellios, Samyak , Infostretch, Persistent Systems and many more. The department helps and guides students for participation in national level competitions such as NCAT, Hackathon, and eYantra. 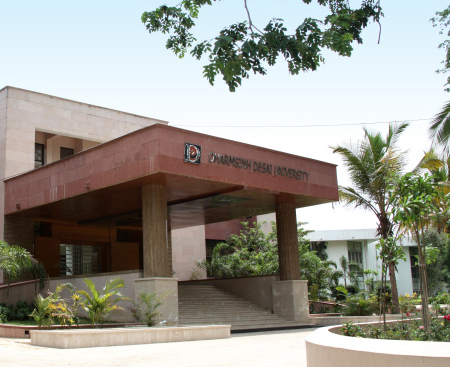 The department started the student forum of Institution of Electronics and Telecommunication Engineers (IETE) in DDU in March 2011. IETE is India's leading recognised professional society devoted to the advancement of science and technology of Electronics, Telecommunication & IT. More than 350 students registered as members of DDU-IETE student forum in last five years. More than 15 seminars/workshops were organized in last five years under DDU-IETE student forum. All computers in the laboratories have internet connectivity. Intranet through LINUX-based / Windows based Servers. Authentic software like Oracle 10g Standard Edition, Microsoft Visual Studio,2012 Ultimate, Microsoft SQL, MS Visio, Ubuntu, latest Window servers, latest Windows OS etc. Department regularly subscribe to Microsoft Imagine Premium software for latest updation in Microsoft products. Four Robotics kits to learn and apply the concepts of Robotics using embedded systems and microcontroller programming. Network Lab. 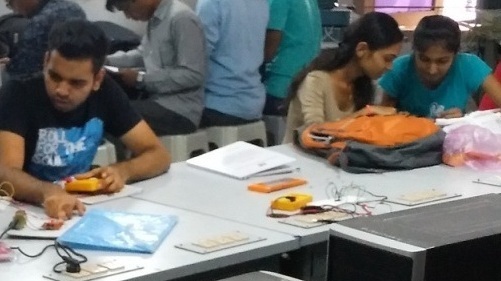 M. Tech Lab.